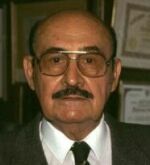 Javier Cabrera (1924-2001) was a respected Peruvian physician and founder of the medical school of Ica National University. Outside of Peru he is better known as the keeper of the controversial Ica Stones which he collected and studied over a forty-year period. He never wavered in his belief of their authenticity. The Ica Stones are named after a town south of Lima in Peru. 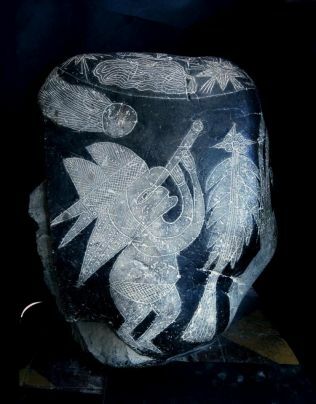 They are a collection of many thousands of andesite stones that are allegedly of great antiquity that depict images of extinct animal species including dinosaurs. These ancient stones are also claimed to show the execution of advanced medical procedures. The late Dr. Javier Cabrera Darquea, usually referred to as Dr. Cabrera, built up a huge collection of these stones. This remarkable collection is quoted by many as ‘proof’ of advanced technology co-existing with dinosaurs. Dennis Swift has written Secrets of the Ica Stones and Nazca Lines in which he supports the authenticity of the stones, but then, Swift is a ‘young earth’ creationist and has a vested interest in claiming the co-existence of man and dinosaurs. As Carl Sagan famously said “extraordinary claims require extraordinary evidence”, so Swift will need more than artefacts denounced as fakes by so many, if he wishes to overthrow long established scientific evidence regarding the millions of years that elapsed between the time of the dinosaurs and the evolution of man. Unfortunately, a series of claims and retractions regarding the possible forging of these stones has cast such a cloud over their authenticity that they are no longer acceptable as proof of anything. Some early-date Atlantis seekers used to quote the Ica stones to support the idea of the advanced technology related by Plato existing as early as 9600 BC. Unfortunately, the questionable antiquity of the stones has barred their use in this regard. This scepticism would appear justified when you see one of inscribed figures using a somewhat anachronistic telescope. A balanced account of the stones can be found on the Wikipedia site(a) as well as another site(b) which has a considerable number of links. 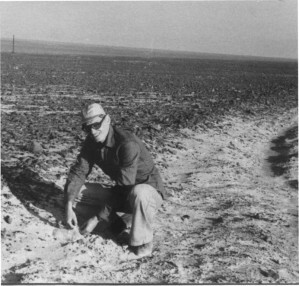 In 1998, Vincente Paris, a Spanish investigator offered further evidence(c)condemning the stones as a hoax.